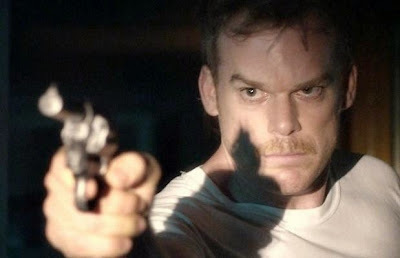 One hot summer Texas night, professional picture framer Richard Dane (Dexter’s Michael C. Hall) is awoken by the sound of someone breaking into his home. 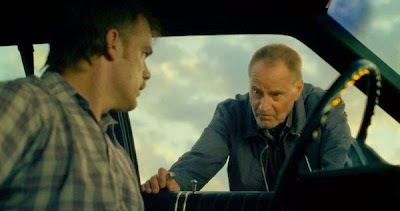 Spooked, the mild-mannered husband and father creeps downstairs and, accidentally firing his pistol, mortally wounds the intruder who turns out to have a criminal record a mile long. 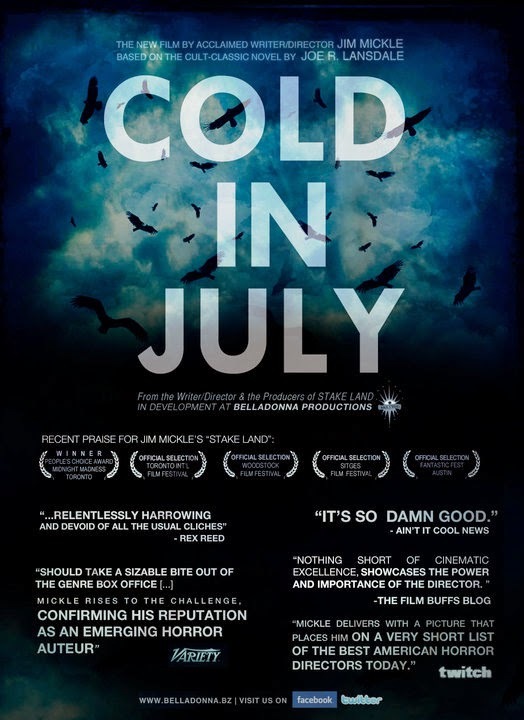 An instant small-town celebrity, Dane is applauded by the local lawman (Nick Damici) for bringing down “a really bad guy.” But when the burglar’s jailbird father (Sam Shepard) comes to town looking for revenge, it sets in motion a mysterious chain of events, revealing that nothing is as it appears to be. Taking a break from straight-up horror, the team behind such sterling independent efforts as Mulberry St., Stake Land, and We Are What We Are, Mickle and co-screenwriter/actor Damici serve up this excellent adaptation of Joe R. Lansdale’s novel (author of Bubba Ho-Tep), with Hall, Shepard, and a so-good-it’s-scary Don Johnson (yes, that Don Johnson) delivering career-best performances. 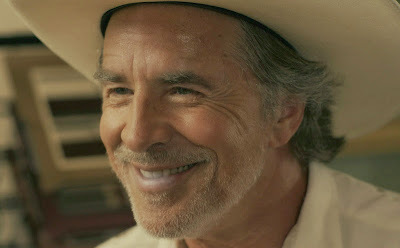 Everyone brings their A-game on both sides of the camera, with several longtime collaborators – composer Jeff Grace, cinematographer Ryan Samul, production designer Russell Barnes, costumer Elisabeth Vastola, and makeup man Brian Spears – lending expert support. 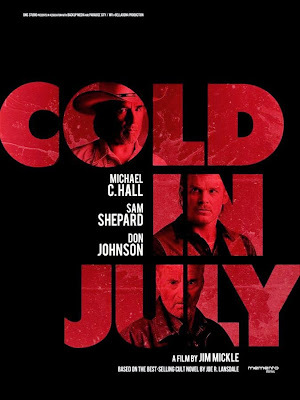 While one would be hard-pressed to call Cold in July a full-on fright flick, there is an appreciable amount of bloodshed, and a pivotal murder that will bring even the most jaded horrorhound’s feet off the floor – all the more impressive since the act itself takes place off camera. If there is any complaint to be lodged, it is only that after tweaking and thwarting expectations for the first 80 minutes, the last 20 play out almost exactly as you’d expect they would. 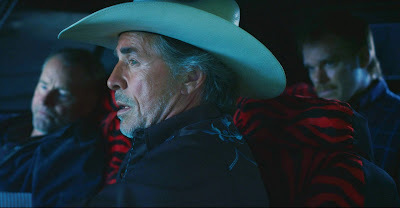 The three main characters say they’re going to go do something and then, by god, they go and do it, whereupon credits roll. For a story as twisty and thorny as it has been up until that point, it’s a bit of a disappointment when things go straight. Then again, one could also chalk that up to one more surprise, a devious one indeed. Bottom line, this is another home run from Mickle and Damici, one that will hopefully garner them some well-deserved mainstream attention (and salaries) for future projects. Artists this talented shouldn’t be scrabbling for funds, but rather given the keys to the kingdom.